Opening the album with the title track, the heat and attitude of the home of Jazz and musical exuberance flows from your speakers. It is Dyna-mite, a party of musicians pulling together the beats that light up their souls. The horns are hot, the keys slinky and delicious. The drumming gives the foundation a driving force and Jon’s vocals glue the party together through the French Quarter with a marching beat to our steps. Welcome to the world of Mr Jon Cleary. One thing that is for certain no two tracks are the same. We now cool down draw breath as the sound is stripped back on Skin in the Game. An acoustic duo between Jon and Nigel Hall. Recorded in his own studio with a simple microphone set up this is personal, reflective with layers of meaning and notes that give the lyrics that extra sting. A perfectly punctuated acoustic track, simple yet full of interest and quirky elements to keep the ear interested. The album is energised full of hooks and roofs, Big Greasy, with its full-fat sound with steel drums capturing the sound of Caribbean it is a number that makes you smile and feel the heat of the sun. Cleary’s vocals once again pull together the complexity of instrumentation sounds that on every listen another musical expression grabs you. The next track is a gentle breeze cooling down the heat of the day, his vocals croon across the shuffle of the drums on 21st Century Gypsy Singing Lover Man. This is a celebration of the winning combination of keys, horns and voice. The hypnotic flow of the number leaves you entranced. Let’s have some funky moves as we Hit, Git, Quit, Split the title is thrown out with a syncopating stutter reflecting the beat of the drum and bass lines. This is pure foot-tapping joy, the horns soar the squeal captures a James Brown feel this is music that is fun. Now for a welcomed dose of New Orleans blues, imagine a dark bar and the piano played in the corner and the drinks flow. The audience would be captivated as Jon starts to sing Frenchmen Street Blues. Wrapped up in the lilting flow is a history of the blues, the town and you are wrapped in a musical hug. Closing out the album as he begun with an upbeat celebration as All Good Things. The song is a finale, as things have to come to an end. 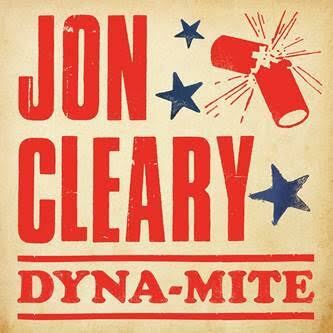 Now the joy of recorded music is you can just play in again and listen to the sound of New Orleans with Jon Cleary and his many friends. As Jon Cleary says, “In New Orleans, you have to keep it real.” That is mission accomplished on Dyna-mite. Jon has captured the essence of New Orleans music style with panache. Free flowing naturally vibrant full of exuberance ready to party with that beguiling mix of Jazz, Blues, Funk and so much more as keys and horns drive the rhythms forward. The ten-track album has no fillers every track showcases the virtuoso talent that is a Grammy Award-winning artist of the sound of New Orleans, contemporary, fresh and funky. This review captures inadequately in words the feeling of the album now, I recommend you do listen for yourself and find the hidden gems we have left for you to explore. The music has more to say than words can ever conjure up!